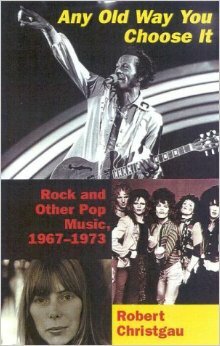 First published in Esquire, the Village Voice, the New York Times, and Long Island’s Newsday, the essays collected here provide an excellent sense of what rock and pop, circa 1963–67, was all about. Some imaginative essays result from this philosophy. Take, for example, “In Memory of the Dave Clark Five,” which has little to do with the defunct quintet. A rambling essay/diary of the writer’s cross-country trip to see a girlfriend, it puts the music Christgau heard along the way into the context of a personal experience—which is where I think music rightly belongs.